I started doing house portraits when I was in school for family and friends. Originally creating them in ink with no color. Eventually as I fell in love with watercolor painting, I brought the two together. Still mostly for friends and family, then by word of mouth. Somehow along the way, life got in the way and house portraits got bumped to the back burner. Last year I created one as a fund raiser for my daughter's school, and I realized how much I missed making them, and how much I enjoyed seeing a home owner's face when they saw the completed piece! By coming back to house portraits, I have literally come home! Creating custom house portraits allows me to combine two passions in one... the love of house architecture and watercolor paint. Having grown up in an old Victorian clapboard home, in a Brooklyn neighborhood filled with grand old houses, I was bit by the 'house bug' at an early age. Each portrait I create has great meaning to me, as I study the details of the structure and incorporate the love of the home into the painting. I am grateful for being given the opportunity to renew this love, and grateful for each client who trusts in me to honor their home with a portrait. 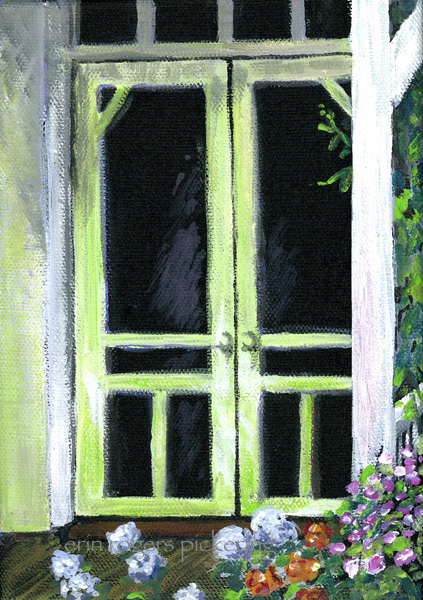 Fun article from Huffington Post about what your front door color says about your personality! Sometimes it may be dictated by the existing roof or shutter colors, but if you could change it all to the color scheme of your choice... what would you do? 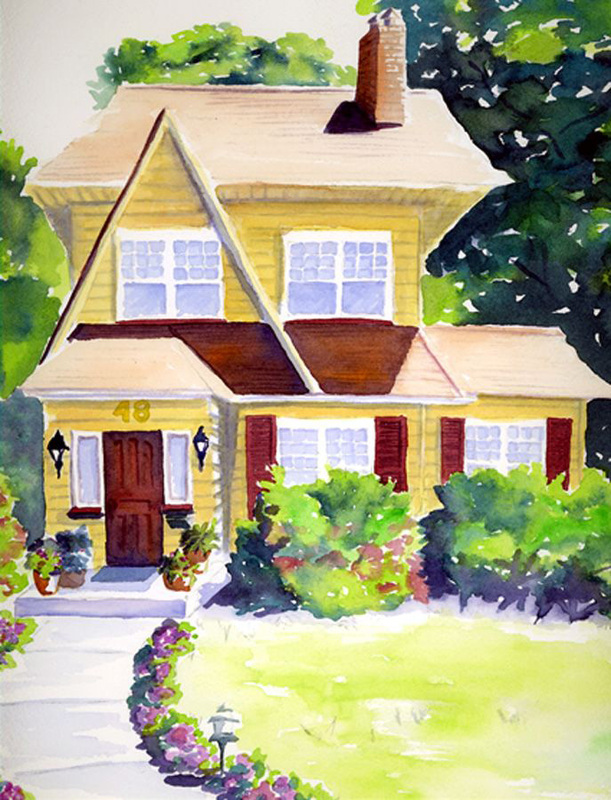 Creating custom house portraits allows me to combine two passions in one... the love of house architecture and watercolor paint. Having grown up in an old Victorian clapboard home, in a Brooklyn neighborhood filled with grand old houses, I was bit by the 'house bug' at an early age. Each portrait I create has great meaning to me, as I study the details of the structure and incorporate the love of the home into the painting. I have been painting in watercolor since college when I became fascinated with the fluidness and unpredictability of a paint that refuses to be totally controlled. The results are lively and vibrant and pulse with life. I have studied art, illustration and painting at FIT, The School of Visual Arts, The Art Academy and Parsons. Currently illustrating for SImply Gluten Free Magazine creating the regular feature 'Workbook Illustrated'. In addition I teach painting to adults and children where students and teacher are all finding inspiration.